The Turner Valley Gas Plant is a Provincial Historic Resource and a National Historic Site. Its story is a significant aspect of Alberta’s development and of Canada’s natural resources history. On May 14, 1914, wet natural gas sprayed out of the well bore at Dingman No. 1 in Turner Valley and changed the nature of Alberta forever. This discovery of petroleum led to the creation of Alberta's first natural gas plant, starting the modern era of oil and gas exploration and processing. The Turner Valley plant was established to process the oil and gas found in Turner Valley. It was the birthplace of Alberta's petrochemical industry and, by undergoing decades of change and development, remained one of Canada's most significant petroleum processing facilities. The buildings and equipment reflect the evolution of natural gas processing and the technological changes in the oil and gas sector. Are you interested in working in an historical environment sharing the history of the Turner Valley Gas Plant with visitors of all ages and walks of life? 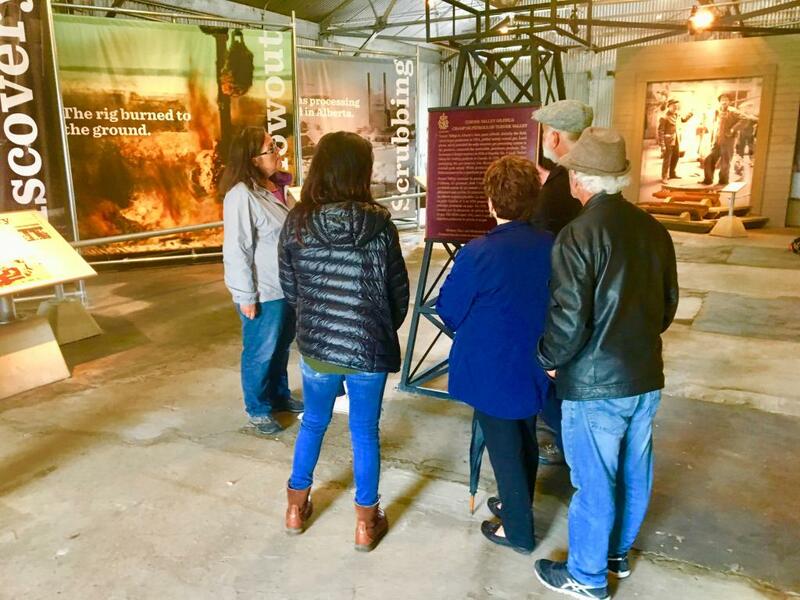 As a member of a dynamic team of tour guides, you will provide interpretive tours of the historic gas plant, sharing stories of the important role that this gas plant played in Alberta's history. Donations associated with the Turner Valley Gas Plant may be accepted into the Historic Sites and Museums collection. Contact us for more information.